This is the first edition of Geotechnical Engineering in Ancient India from Dr Ashok Nene. 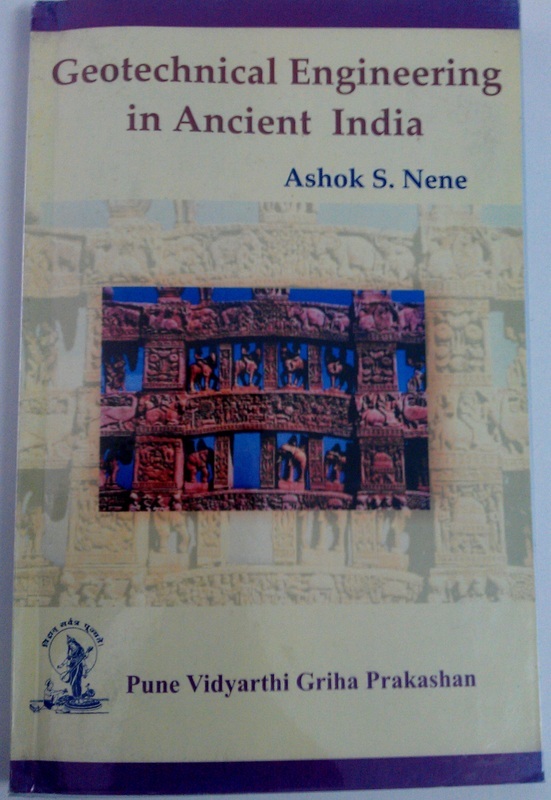 Dr. Nene in his book has focused about the contribution of Ancient India's to Geotechnical engineering. With reference to vast collection of rare literature on “Shilpasamhita” compiled by Late Shri G G Joshi, Dr. Nene brings out the vast knowledge of Ancient Indians had on topics like Geology, Rock Mechanics, Soil Mechanics, Ground Improvement, Earth Structures, Foundation engineering. He gives reference to different ancient texts for all the above mentioned topics. There are about 45 ancient scriptures which Dr. Nene has referred to, with some dating back to 5000 BC. It is commendable effort from Dr. Nene to understand the ancient scriptures and link to modern engineering. For any person who is interested to know more about how Ancient Indian Geotechnical Engineers worked this book provides an insight to that vast knowledge.